SOUTH ASIA COULD be hit with deadly heat waves – caused by climate change – by the end of this century that humans wouldn’t survive in, research has found. The study found that climate change could lead to summer heat waves with levels of heat and humidity that exceed what humans can survive without protection, in South Asia, a region of deep poverty where one-fifth of the world’s people live. They also suggested that it could hit the fertile Indus and Ganges river basins that produce much of the region’s food supply. The new findings, based on detailed computer simulations using the best available global circulation models, were published by MIT researcher Elfatih Eltahir in the journal Science Advances. The study follows an earlier report by Eltahir, which looked at projected heat waves in the Persian Gulf region. The number of extreme-heat days projected there were even worse than for South Asia, but Eltahir said the impact in the latter area could be vastly more severe. While the Persian Gulf area has a relatively small, relatively wealthy population, and little agricultural land, the areas likely to be hardest hit in northern India, Bangladesh, and southern Pakistan are home to 1.5 billion people. These areas are also among the poorest in the region, with much of the population dependant on subsistence farming that requires long hours of hard labour out in the open and unprotected from the sun. “That makes them very vulnerable to these climatic changes, assuming no mitigation,” Eltahir said. The new analysis is based on recent research showing that hot weather’s most deadly effects for humans come from a combination of high temperature and high humidity, which is measured by a reading known as wet-bulb temperature. At a wet-bulb temperature of 35 degrees Celsius, the human body can’t cool itself enough to survive more than a few hours. Actual readings in the Persian Gulf region in the summer of 2015 show that the 35-degree wet-bulb limit had almost been reached already, suggesting that such extremes could begin earlier than projected. The summer of 2015 also produced one of the deadliest heat waves in history in South Asia, killing an estimated 3,500 people in Pakistan and India. And yet, India and China remain two countries where emission rates of greenhouse gases continue to rise, driven mostly by economic growth, according to Eltahir. “So I think these results pose a dilemma for countries like India. Global warming is not just a global problem – for them, they will have some of the hottest spots [on the planet],” he said. In today’s climate, about 2% of the Indian population sometimes gets exposed to extremes of 32-degree wet-bulb temperatures. 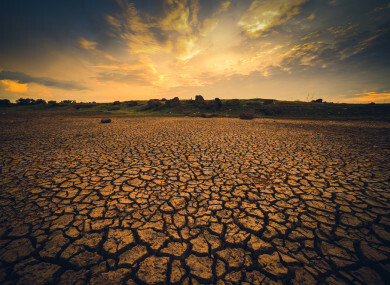 By 2100 that will increase to about 70% of the population and about 2% of the people will sometimes be exposed to the survivability limit of 35 degrees, according to the latest study. Because the region is important agriculturally, it’s not just those directly affected by the heat that will suffer, according to Eltahir. But while the study provides a grim warning of what could happen, it is far from inevitable, Eltahir stressed. The study examined not just the business-as-usual case but also the effects under a moderate mitigation scenario, which showed that these dramatic, deadly effects can still be averted. “There is value in mitigation, as far as public health and reducing heat waves,” he said. Read: Electric cars: Is Ireland, and the world, ready for them? Email “Deadly heat waves could hit South Asia this century”. Feedback on “Deadly heat waves could hit South Asia this century”.